Identity theft is one of today’s fastest growing crimes. 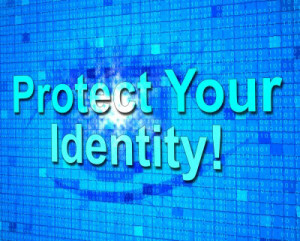 An identity thief takes your personal information and uses it without your knowledge. The thief may run up debts or even commit crimes in your name. The following tips can help you, your company, and your family lower the risk of becoming a victim. Protect your Social Security number. – Don’t carry your Social Security card in your wallet. If your health plan (other than Medicare) or any other card uses your Social Security number, ask the company for a different number. Avoid giving out your number over the phone – offer alternate means of identification. Never put your Social Security number on a check as identification. Fight “phishing” – don’t take the bait. – Scam artists “phish” for victims by pretending to be banks, stores or government agencies. They do this over the phone, in e-mails and in the regular mail. Do not respond to any request to verify your account number or password. Legitimate companies do not request this kind of information in this way. Bottom line: Never give out your personal information – unless you made the contact. Polish your password practices. – Identity thieves love passwords because they open doors to our personal information. Get tough and organized now. Use different passwords for all your accounts. Make those passwords strong with at least eight characters, including a mix of letters, numbers, and symbols ($+r0^gh@h@). Hide them safely, and keep them handy. Good password practices are work, but fixing an identity theft problem is hard labor! Be mysterious on social networks. – What you share on social networks (your home or email address; children’s names; birth date and so on) is what tech-savvy thieves use for scams, phishing, and account theft. Don’t over share. Shield your computer and smartphone. – Protect your personal information on your computers and smartphones. Use strong passwords. Use firewall, virus and spyware protection software that you update regularly. Steer clear of spyware. Download free software only from sites you know and trust. Don’t install software without knowing what it is. Set Internet Explorer browser security to at least “medium” Never click on links in pop-up windows or in spam e-mail or any e-mail when you don’t know the sender! Check your statements. – Open your credit card bills and bank statements right away. Check carefully for any unauthorized charges or withdrawals and report them immediately. Call if bills don’t arrive on time. It may mean that someone has changed contact information to hide fraudulent charges. Stop pre-approved credit offers. – Stop most pre-approved credit card offers. They make a tempting target for identity thieves who steal your mail. Shred all offers or convenience checks that you receive in the mail. (In fact, shred all obsolete printed documents containing personal information.) Have your name removed from credit bureau marketing lists. Call toll-free 1-888-5OPTOUT (888-567-8688). Or opt out online at www.optoutprescreen.com. Check your credit reports – for free. – One of the best ways to protect against identity theft is to monitor your credit history. You can get one free credit report every year from each of the three national credit bureaus: Equifax, Experian and TransUnion. Request all three reports at once, or be your own no-cost credit-monitoring service. Just spread out your requests, ordering from a different bureau every four months. (More comprehensive monitoring services from the credit bureaus cost from $44 to over $100 per year.) Order your free annual credit reports by phone, toll-free, at 1-877-322-8228, or online at www.annualcreditreport.com. Or you can mail in an order form. Ask questions. – Don’t be afraid to ask questions when a business or agency asks for your personal information. Ask how it will be used. Ask how it will be shared, and how it will be protected. Explain that you’re concerned about identity theft. If you’re not satisfied with the answers, consider taking your business somewhere else. Fredrickson Consulting can respond immediately to all workplace security and workplace safety issues. If you are having a problem now and need immediate help, please don't hesitate to call us now at (480) 751-8077. You may also Contact Us on-line. We offer a no cost, no obligation 30-minute consultation if you wish to discuss any potential workplace safety and security issues personally with Duane Fredrickson. "Fredrickson Consulting prepares clients for the unexpected. Managing risk is critical in a business setting and Duane’s services help clients mitigate risk...I'm hooked on Duane Fredrickson's message of safety and empowerment." "Your expert knowledge and experience, proven methods of involving the audience, and professional style made for a presentation that we will not soon forget." Fredrickson Consulting offers on-site consulting and training in any desired format: one-on-one, small groups, formal seminars, keynote speech, breakout sessions, and workshop facilitation. Our programs are designed to fit your time and budget, and are always engaging, interactive, and get results.